The CNA salary in Oregon will depend largely on the area of the state you’re employed, your level of job experience and type of facility you work at. If you are looking for a good paying job that gives you an opportunity to help people look out for their health, you should think about becoming a nursing assistant. Under the supervision of a registered nurse, a CNA takes care of a patient’s daily healthcare needs. CNAs find employment in hospitals, clinics, nursing homes, adult day care canters, assisted living facilities and private homes. A CNA is a vital part of a health care team, observing a patient’s daily condition and reporting any changes to the doctors and nurses so that modifications can be made to improve the health care plan of the patient. In the United States, a CNA earns an average salary of $12.02 an hour or $23,726 annually. According to Indeed.com, the average salary for CNAs Oregon in a bit higher than it is in most states. CNAs in Oregon get an average of $14.57 an hour or $29,803 annually. All in all, Oregon is one of the highest paying places for CNAs in the U.S. In order to ensure that you benefit from the higher pay grade offered to Oregon-based CNAs, you need to garner some experience first. Don’t worry though, as most CNAs find that after having only about one or two years working in the same Oregon healthcare facility they are considered experienced and can then negotiate for better pay. Higher-paying facilities prefer to hire experienced CNAS as they believe that this will save them on training costs. To attract veteran CNAs, many facilities will offer them higher pay and additional benefits such as paid vacation and sick leaves, retirement plans and insurance. These benefits are not usually offered to inexperienced CNAs. There is a lot of demand in Oregon for CNAs willing to work in the elderly health care sector. A CNA can earn around $10-13 an hour in a nursing home and $9-12 an hour at a community care facility that gives special care to elderly patients with severe problems. Hospitals are one of the highest paying places for a CNA to work in Oregon. They pay around $11-15 an hour. They are also a great place to hone your reputation as a “veteran” CNA. Nursing assistants in hospitals find themselves being assigned to assist in a number of different medical units, from maternity to surgery for example. This allows them to achieve and claim more experience. 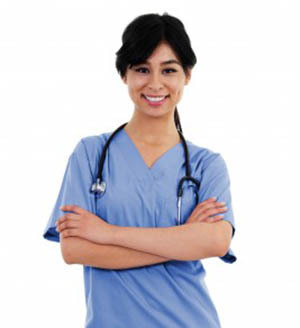 To learn more about CNA classes in Oregon and find schools in a city near you visit his page. The minimum age is 16 for workers and it is mandatory to pass the state exams before becoming eligible for employment.